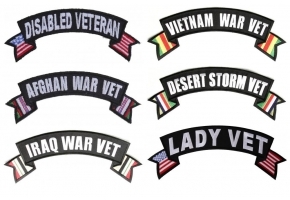 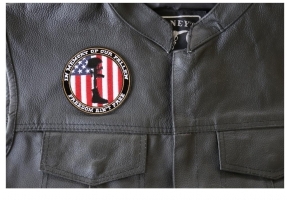 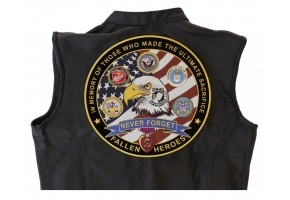 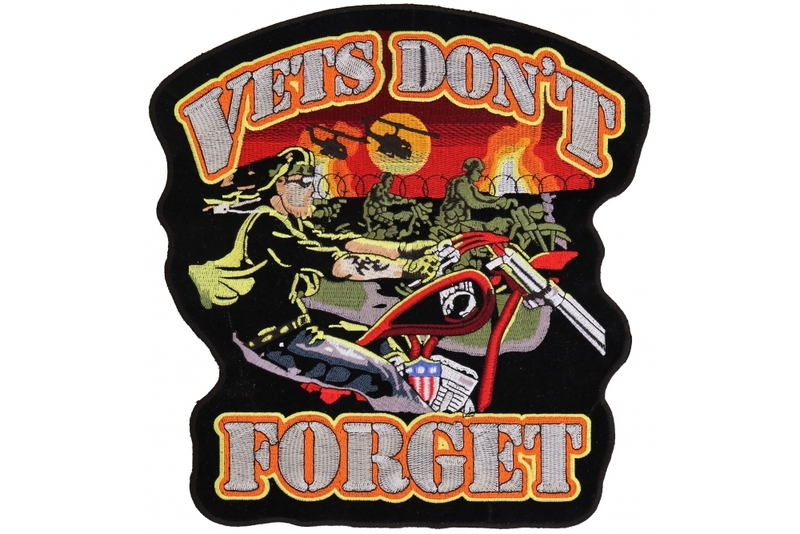 Vets Don't Forget Patch in Large size measures 12 inches. 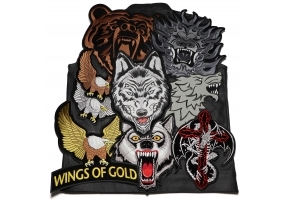 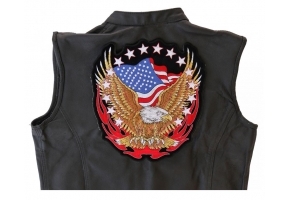 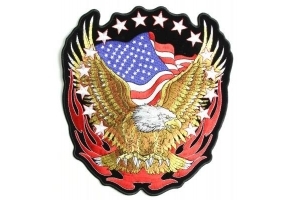 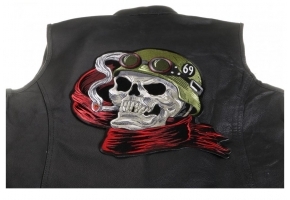 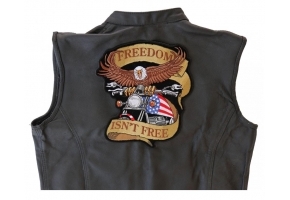 Great Patch with very nice embroidery work. Genuine Good Sports Brand. 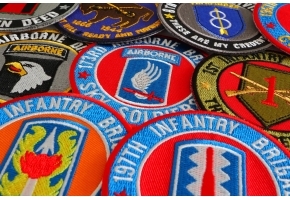 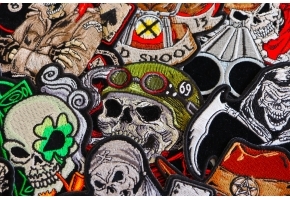 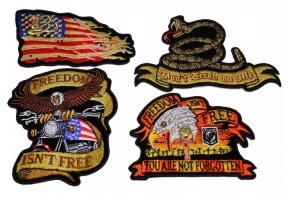 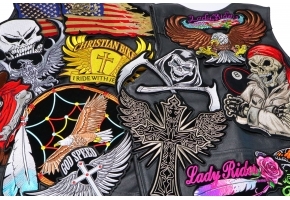 You can iron on or sew on these patches. 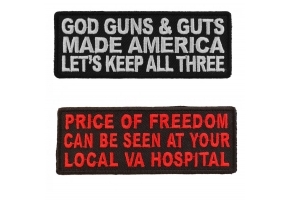 They have heat seal backing glue as well as nice thick borders. 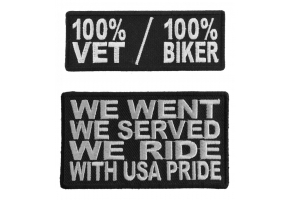 Borders are die cut for a very clean finish. 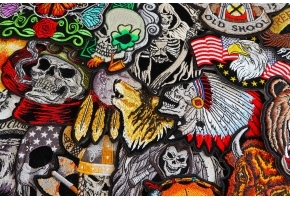 You can see the details of the embroidery work in this video.